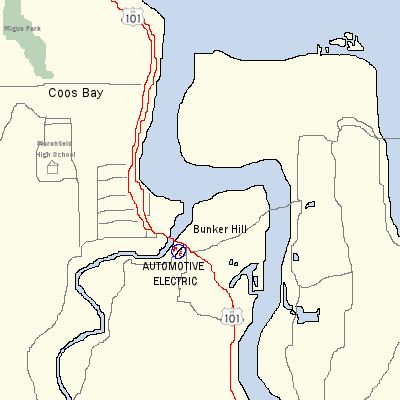 Automotive Electric has been serving the Coos Bay area since 1960. Our mechanics are ASE certified and strive to complete their work in a timely, professional manner, fixing the problem the first time. We also try to be as accommodating as possible and offer transportation, if necessary. We are part of Tech-Net Professional Auto Service and we are a NAPA AutoCare Center. We use quality CARQUEST or NAPA parts and our services are guaranteed 90 days for labor and a year or longer for parts. Free estimates are also available. Appointments are prefered, but we will do our best to work in emergencies. We are located in Coos Bay, Oregon along Highway 101 in the Bunker Hill area. Going north we are on the left and going south we are on the right. We are literally connected to Carquest Auto Parts.